Judy Hayes has worked for Educators of Excellence for seven years. She previously taught Special Education in the Round Rock School District. 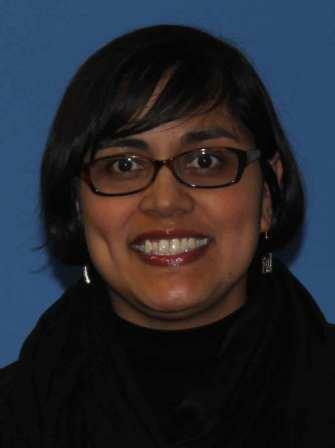 She has worked at the University of Texas in their Education Department. Lynn Kirby teaches at The University of Texas at Austin with the UTeach Program, preparing highly qualified young science and math teachers. Prior to that, she spent seventeen years in the classroom where she developed curriculum for 6th, 7th and 8th grade science classes, established and taught elective classes in Environmental Science, Anthropology, Geology of Texas, Plant Studies and Navigating the Internet. Lynn has also worked to create a Pre-AP Program designed for Kealing to help bridge minority students into the magnet program. Lynn was the co-chairperson for the national College Board committee writing the AP Vertical Team Guide for Science and she and Jason Hook co-authored Laying the Foundations: Pre-AP Middle School Science Life/Earth and The Lighthouse Guide to Science. She received a B.S. in Geology from the University of Texas at Austin and an MLA from St. Edwards University and is a Microsoft Certified Professional and Trainer. Scott Pass has taught Algebra I and II, Geometry, Pre-Calculus, Calculus and Statistics over the past 16 years. He coordinated the Advanced Placement program at Taylor High School. He taught AP Calculus at Westlake High School in Austin, Texas for eight years, and currently teaches AP Calculus and AP Statistics at Reagan High School in Austin, Texas in an effort to improve mathematics instruction in an urban public school setting. Early in his teaching career he participated in the Institute of Advanced Studies/Park City Mathematics Institute, which vertically aligns various mathematics professionals and students to help stimulate the reform of mathematics teaching. This formative experience stimulated an interest in mathematical problem solving as a catalyst to draw out mathematical thought from his students. Scott has trained with the College Board in areas such as AP Vertical Teams, technology, and advanced topics related to the teaching of Pre-AP® Mathematics and AP Calculus. Scott Pass is a College Board® consultant and leads workshops in Pre-AP® Mathematics Topics, AP® Vertical Teams, and AP® Calculus. Flor Mota taught for the Austin Independent School District for 15 years. For three years, she taught pre-AP English at Johnston High School (now Eastside Memorial). After training with the Industrial Areas Foundation, the nationâ€™s largest and oldest network of local faith and community-based organizations, she also worked as a community organizer recruiting neighborhood parents to become involved in school initiatives. After Johnston, Ms. Mota taught pre-AP English and Film Analysis at McCallum High School for 12 years, and served as the English Departmentâ€™s co-Chair during her last four years. She was named McCallumâ€™s Teacher of the Year in 2012 and was a semifinalist for AISD Teacher of the Year. She has mentored dozens of future English teachers, sponsored numerous student organizations, and, with the assistance of Middlebury Collegeâ€™s â€œWrite To Changeâ€ Grant, founded the first peer-to-peer Writing Center in AISD. Ms. Mota earned her B.A. from the University of Texas at Austin in 1999 and her M.A. in 2014 from Middlebury Collegeâ€™s Bread Loaf School of English. She currently serves as ACC Cypress Creek Learning Lab Manager in Cedar Park, where she continues to mentor students and teacher-tutors. Ms. Gudelman has over 30 years of experience as a high school Teacher, elementary Teacher, school Counselor and Principal. Ms. Gudelman attended Texas State University. She has a Bachelor of Science Degree in Education, certification in Special Education, a Master of Education degree in Counseling and a Principal Certification. She has been an educator in New Braunfels ISD, Marble Falls, ISD, Austin ISD, Lake Travis ISD and most recently in Lockhart ISD.